With the brightest colour exploding in a 3D Floral Harlequin patterned show, you can't go past such an opal. 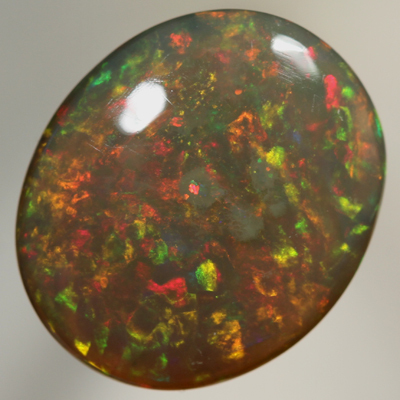 Constant colour moves through the body of this gorgeous opal in a 3 dimensional play-of-colour. The bright and crisp colours just sparkle at the very slightest of movement. Bright sparkling red, orange, green and blue fire is captured in a never ending display. Great in all lights.